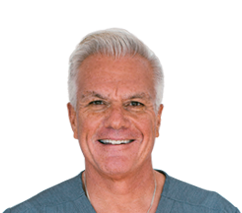 Biodental Healing in Newbury Park & Conejo Valley offers an innovative approach to biological dentistry, where we focus on understanding and treating the underlying causes of your dental and oral problems to help you achieve a healthy mouth and a healthy life. In the past, it was generally accepted for your dentist to care only for the health of your teeth, gums, and mouth. After all, it is what they were trained to do. But with new research showing a close relationship between oral health and general wellbeing, it is becoming increasingly important to find dental and oral solutions that not only focus on improving your teeth and mouth, but also your body as a whole. Biodental Healing is a biological or holistic dental practice, meaning that Dr. Villarreal uses principles that aim at improving the health of your teeth, as well as that of your body and mind. This new dental health approach embraces modern practices drawn from multiple, time-tested traditions of natural healing that can be applied to improve general health and wellbeing. At Biodental Healing, we provide a wide range of biocompatible dental health solutions to restore the function and comfort of your mouth, enhance your smile, and support your overall health. By keeping abreast of the newest technological advances in dentistry, Dr. Villarreal is able to provide his patients in Newbury Park & Conejo Valley with multiple innovative solutions for their benefit. Most metal fillings are silver or gold fillings. Metals are dangerous because they can leach and affect the health of your body or cause electromagnetic disturbances to your nervous system and energy flow in your body. For instance, silver or amalgam fillings contain over 50% mercury, which is considered a highly toxic heavy metal associated with reduced liver, kidney, and thyroid function. Mercury is also said to suppress the immune system, cause mood swings and depression, and even contribute to some nervous system disorders. Cases of tooth decay and cavities should be treated promptly to prevent the plaque bacteria from advancing and destroying the sensitive nerves and blood vessels within, as well as the root structure of the teeth. Dr. Villarreal can remove the decay and place tooth-colored composite resin fillings to fill the cavity and restore the structure of the tooth. Using tooth-colored filling material ensures that the restored tooth appears natural, and is virtually unnoticeable in your smile. Dr. Villarreal can also remove amalgam fillings and administer other dental treatments that are safe for your body. Using biocompatible materials and advanced techniques, Dr. Villarreal can protect, maintain, and enhance the health of your mouth, and by extension, your total body health. Please contact Biodental Healing for more information, and to book an appointment.